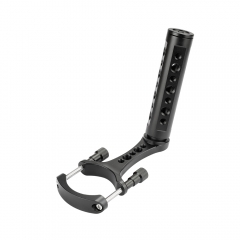 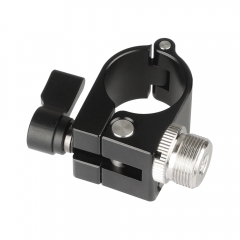 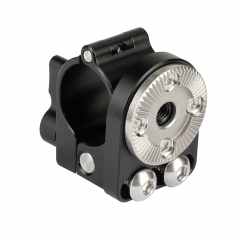 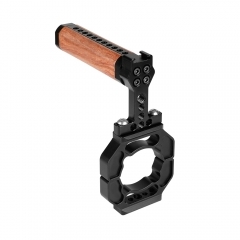 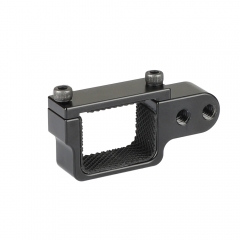 The adapter is made of high-quality aluminum and anodized in black. 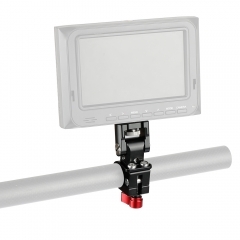 It fits standard 1/4" threaded hole that you can fix a moniter on the camera conveniently. 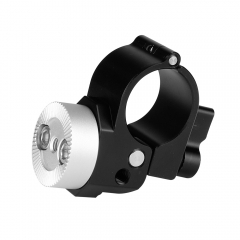 It is rotatable in 360 degree that you can adjust the angel as you want. 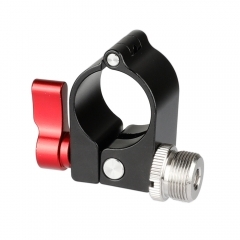 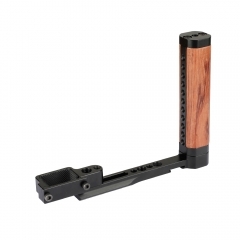 It is compatible with all rods range from 24.9mm to 25.5mm.